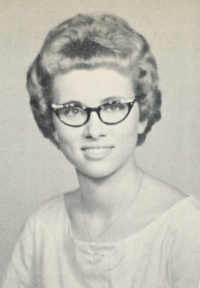 Obituary – Nichols, Marilyn Ruth (Balzer) « Perry High School Alumni Association, Inc.
﻿Red Hots ’59-’62; Cheerleader ’60-’62; English Assemblies ’60-’61; Christmas Vespers ’59-’61; All School Review ’59’61. Marilyn Ruth Nichols, 66 was born August 23, 1944 in Enid, Oklahoma. 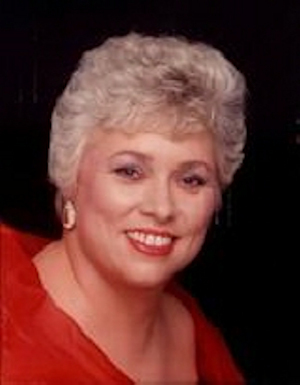 She passed away August 20, 2011 at OU Medical Center Presbyterian Tower in Oklahoma City, Oklahoma. On February 7, 1977 she was united in marriage to Fred Nichols at Blackwell, OK.
During her working years she was employed in the insurance industry, and worked as a loan officer and a bookkeeper. She was a member of the First Christian Church in Perry, OK, the Elks and Rebekah Lodge in Perry, OK and the Moose Lodge in Stillwater, OK.
She enjoyed handing out candy at the Halloween Celebration in Perry. She enjoyed fishing, camping, traveling and riding the motorcycle. Her favorite activities were loving her family and sharing laughter with them. She was preceded in death by her parents, Harry LeRoy and Millie Ann (Haxton) Balzer, her step-mother, Betty Balzer and a great grandchild, Cameron Nemec. Marilyn is survived by her husband Freddie Nichols of the home, Perry, OK; daughters, Cristie Hillhouse and husband Jason of Perry, OK, Danah Hampton and husband Johnnie of Cherryvale, KS, Jonna Davenport of Lucien, OK, Farah Gaddis and husband Jon of Perry, OK, Stacy Casteel and husband Marty of Lucien, OK; one brother, Doyle Balzer and wife Diana of Perry, OK; one step-brother Tom Shireman and wife Mary of Edmond, OK; four step-sisters Linda Oberholzer and husband Robert of Perry, OK, Marilyn Ewy and husband Jim of Perry, OK, Debbie Cardin and husband Ted of Florida, Karen Martinez and husband Bob of Perry, OK; 8 grandchildren, Misti Love and husband Scottie of Chanute, KS, Brandon Givens and wife Holly of Perry, OK, Calvin Nemec and wife Shawna of Perry, OK , Kara Nemec of Perry, OK, Megan Gaddis of Perry, OK Tarilyn Gaddis of Perry, OK, Kaylee and Colton Casteel both of Lucien, OK; 4 great grandchildren, and two nieces, LeeAnn Todd of Perry, OK and Skye Balzer of Stillwater, OK.